This little shoe with its rounded shape, but adjusted and his black patent leather will make you crack! Fully lined in leather, it is light and comfortable.The non-slip pads are included. All our products are made in France in our workshop. Non-slip pads included. Other colors, click HERE. Shipping included to mainland France. This is a very nice little shoe, rounded form but adjusted , soft and silky leather, stain resistant. Fully lined in leather, it is light and comfortable. Non-slip pads included. All our products are made in France in our workshop. Other colors, click HERE. Shipping included to mainland France. 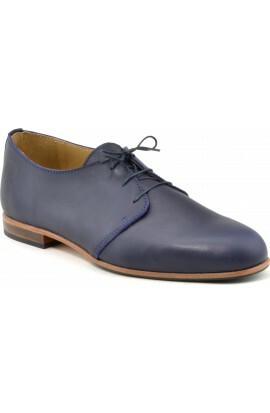 This is a very nice little shoe, rounded form but adjusted , soft and silky leather, stain resistant. Fully lined in leather, it is light and very comfortable.The non-slip pads are included. All our products are made in France in our workshop. Other colors, click HERE. Shipping included to mainland France. This is a very nice little shoe, rounded form but adjusted , soft and silky leather, treated anti-disgorgement. Fully lined in leather, it is light and comfortable.The non-slip pads are included. All our products are made in France in our workshop. Other colors, click HERE. Shipping included to mainland France. Customized model +30€ included. Customized models can not be returned nor exchanges except in case of shoe size error. 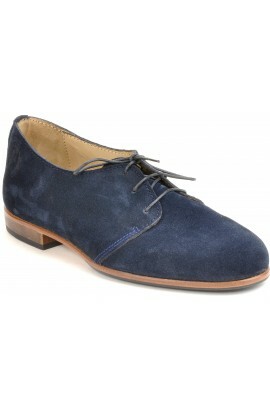 This is a very nice little shoe, rounded form but adjusted , soft and silky leather, stain resistant. Fully lined in leather, it is light and comfortable. Non-slip pads included. All our products are made in France in our workshop. Customized model +30€ included. Customized models can not be returned nor exchanges except in case of shoe size error. To custom your shoes with another color choose a standard model and customization option. This is a very nice little shoe, rounded form but adjusted , soft and silky leather, stain resistant. Other colors, click HERE. Customized model +30€ included. Customized models can not be returned nor exchanges except in case of shoe size error. To custom your shoes with another color choose a standard model and customization option. This is a very nice little shoe, rounded form but adjusted , soft and silky leather, stain resistant. Fully lined in leather. Non-slip pads included.